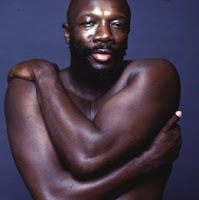 I'm sure you had a good meal at Isaac Hayes's restaurant. I was fortunate to be able to dine on his cooking when he was a guest chef at a corporate cafetaria in New York. He was there selling his cookbook and I had the pleasure of meeting him. He will be missed. I'll be travelling to Memphis next week with my family, and plan to pay my respects at Stax Records. "The Duke." He was "A-number One!"